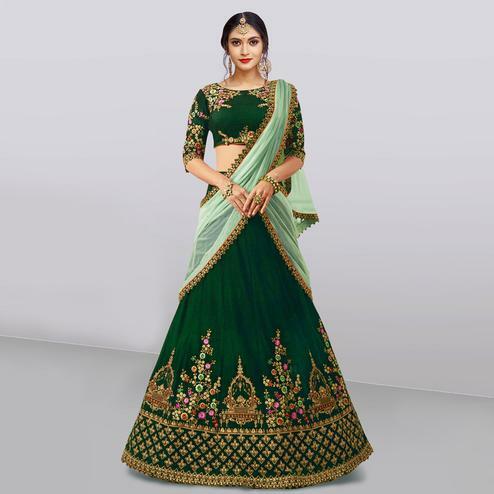 Add a vibrant burst of color to your wardrobe with this traditional dark green colored wedding lehenga choli. 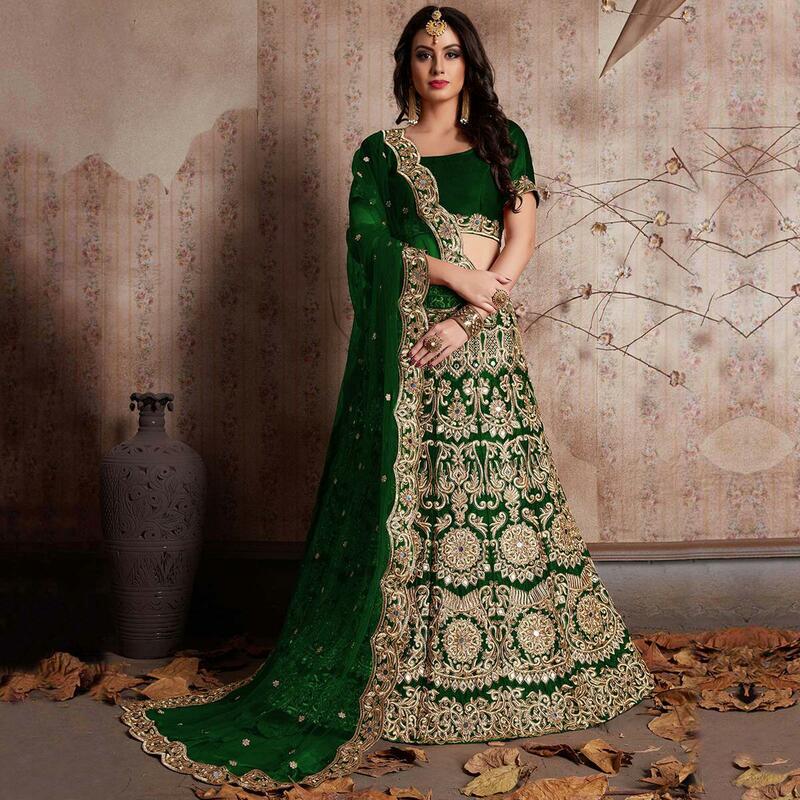 The lehenga is beautified with zari embroidery and mirror work done on entire lehenga choli as shown. 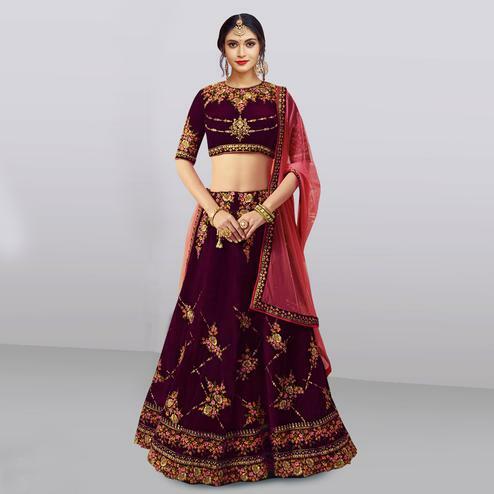 Fabricated on velvet silk lehenga,choli and soft net dupatta. 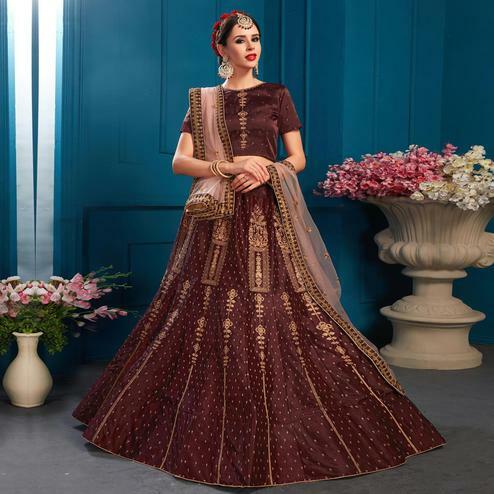 The soft net dupatta has cutwork dupatta with mirror work that enhances the attire. Specially designed to wear in weddings, functions, engagements, ceremonies and special occasions, where you want to be center of attraction. Teaming this dress with golden jewelry and high heels that would be an added attraction. 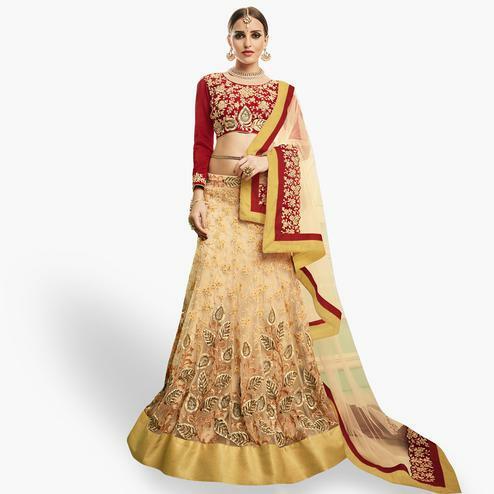 Buy this designer lehenga choli and earn lots of compliments from onlookers.